Now that all the trials arising from the Balcombe anti-fracking protests are over, Ruth Hayhurst of the excellent ‘Investigating Balcombe and Cuadrilla’ website – who attended almost all the cases – reflects on what the policing strategy sought to achieve in a two part guest post for Netpol. Part one (below) looks at whether the police operation set out to deliberately deter protesters, Part two examines whether Balcombe was used as a testing ground for new policing tactics. For nearly 70 days last summer, police officers were on duty outside (and sometimes inside) Cuadrilla’s oil exploration site at Balcombe. They said their role was to facilitate peaceful protest. During the protests, a total of 126 people were arrested, leading to 114 charges. Many charges were dropped before they came to court. A few were dismissed during trials and most resulted in acquittals. With all the cases now over, only 29 charges (guilty and not guilty pleas) resulted in convictions. This is well below the average conviction rate of 85 per cent for the Crown Prosecution Service– and it could fall further because six people are currently appealing against guilty verdicts. Of the people who were convicted or who pleaded guilty, fines and costs are thought to have totalled about £6,000. The policing operation cost nearly £4 million. The cost of the legal action is not yet known. But it is likely to be high, given that the trials lasted more than 30 days and more than 50 police officers spent at least one day in court giving evidence. So what did the policing strategy seek to achieve? Last week, the force’s press office refused a request to release the review of the operation by Hertfordshire Police. The Sussex Police and Crime Commissioner also declined to comment. However, evidence about the policing operation did emerge at the trials. And anti-fracking campaigners, local politicians and lawyers have been willing to discuss what happened. Superintendent Jane Derrick gave evidence that Sussex Police consulted a human rights lawyer about the operation at Balcombe. The purpose, she said, was to ensure that the operation did not infringe the rights of freedom of speech and assembly granted under Articles 10 and 11 of the European Convention on Human Rights. So what is the evidence that policing at Balcombe intended to deter protest, or had that effect? Police used a number of techniques, particularly pressure-pointing, that, it was argued during the trials, caused distress and confusion to protesters. A 56-year-old woman, who was later acquitted, told her trial about the effect of seeing someone in her group being pressure pointed. “It had been unexpected. It was very unpleasant. It really threw me,” she said. A 30-year-old man, also acquitted, was photographed being pressure pointed and his picture appeared on many national newspaper front pages. He told his trial: “I was raised to believe that if you were harmed or in trouble the police were there to help and protect you. This had a very long-lasting effect on me”. There were suggestions that some arrests were targeted and sometimes at high-profile people, such as Caroline Lucas. Police officers certainly gave evidence that they were instructed to arrest particular protesters. On other occasions, arrests appeared to be arbitrary. 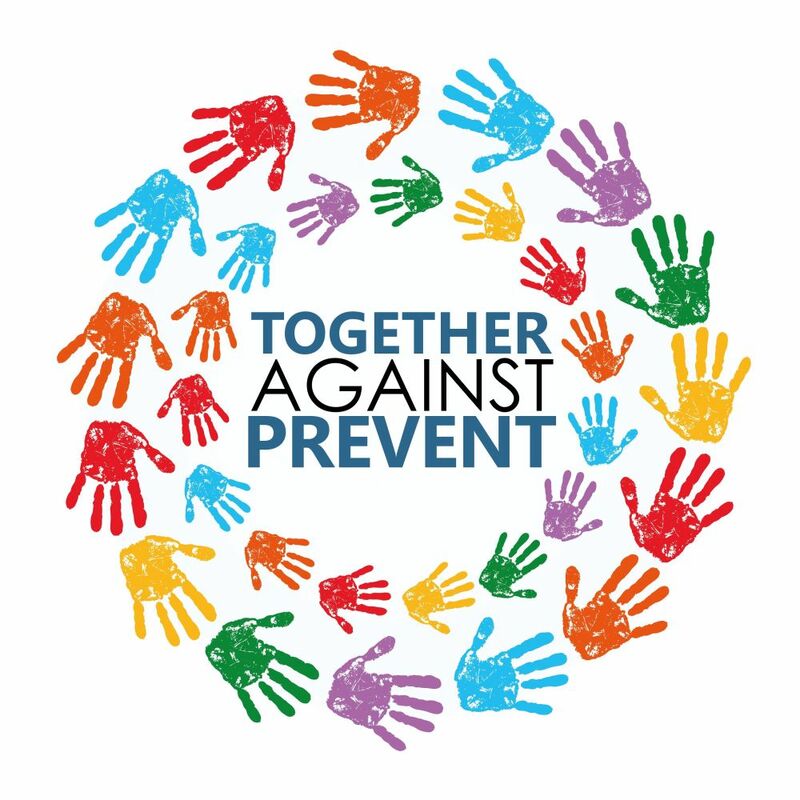 On August 19th, for example, in a group of people behaving in the same way at the same time and place, some were arrested and taken into custody, some were arrested and then de-arrested, and some were moved from the area and left alone. There was also evidence that people were arrested for actions that had, apparently, been tolerated for several hours before. Superintendent Jane Derrick, the tactical commander during the period of the Reclaim Power Camp, gave evidence that she wanted “no surprise policing”. But people frequently gave evidence that they were arrested without being warned or given a reason. A 50-year-old woman, who was also acquitted, told her trial “I had never seen anything like it. The police were allowing us to protest and then suddenly they were hurting us”. On at least two days, large numbers of people were arrested. The Sussex Police press office released details that 16 people were arrested on the second day of the protest (July 26th) and about 30 on August 19th, the Day of Action by Reclaim the Power. Solicitor Lydia Dagostino, whose firm Kellys represented many of the people arrested at Balcombe, has specialised in protest-related work and has done so for 20 years. She said: “When there are mass arrests, it is inevitable that a broad range of people get swept up by the police. This can alienate people and put them and others off from going to even the most peaceful of protests”. Early in the protests, people who were arrested received bail conditions that excluded them from an area of about 25 sq km. This included the site entrance, Balcombe, surrounding villages and a section of the railway line from Brighton to London. People who were arrested for minor offences have described how they were held in custody for long periods of time. A 52-year-old man, arrested at about midday on July 26th was held in custody and finally interviewed at 00.45am the following day. A 56-year-old woman in a separate trial said she was held for more than 12 hours. Both were later acquitted. A woman whose case did not come to court said she was held for 22 hours. Defendants also described inconsistencies in their treatment at police stations. One woman, who pleaded guilty, said she was not offered a caution when another person, who had been taking part in the same activity at the same time and place, was. A 34-year-old woman described how she did not have legal advice because she was told she would have to wait longer to be interviewed if she wanted a solicitor to represent her. Early in the protests, 30 people were charged under an obscure law, Section 241 of the Trades Union and Labour Relations (Consolidation) Act, which carries a maximum sentence on conviction of six months in prison. Of the 30, 25 saw their charges changed before trial to offences which did not carry a custodial sentence. Of the remaining five that went to trial, two had their charges dropped part way through the case and one was acquitted. Only two were convicted – one was conditionally discharged for 12 months and the other fined £200. Despite this, one of the barristers involved in their case, Srikantharajah Nereshraaj, said the convictions “might embolden the police to start charging this offence more routinely and against a large number of protesters”. We also asked the force to respond to evidence given in support of this suggestion. Sussex Police said people may have needed to wait longer in custody if they wanted to speak to a solicitor. The statement said this would happen “if the duty solicitors were busy or the arrested person wished to nominate a solicitor.” The statement added “Neither is within the control of the police”. 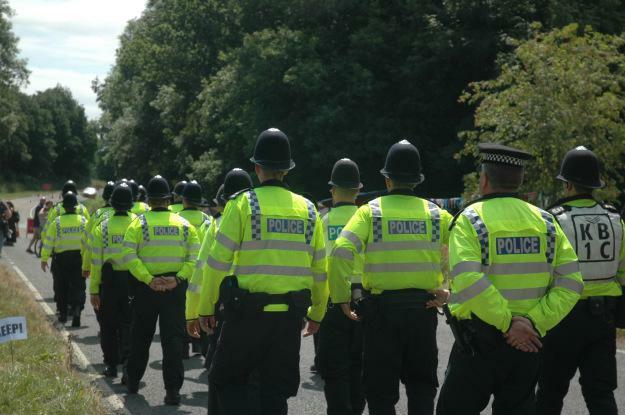 Part two of Ruth Hayhurst’s reflections of the policing operation at Balcombe – looking at whether it was a testing ground for new policing tactics – can be found here.